I love a good comic strip crazy contraption. Wether it’s a delightful Rube Goldberg, or something more in the vein of the great gear infused madness that is this incredible petting machine, look, we love it. And we love this video of a dog getting pet by the machine. 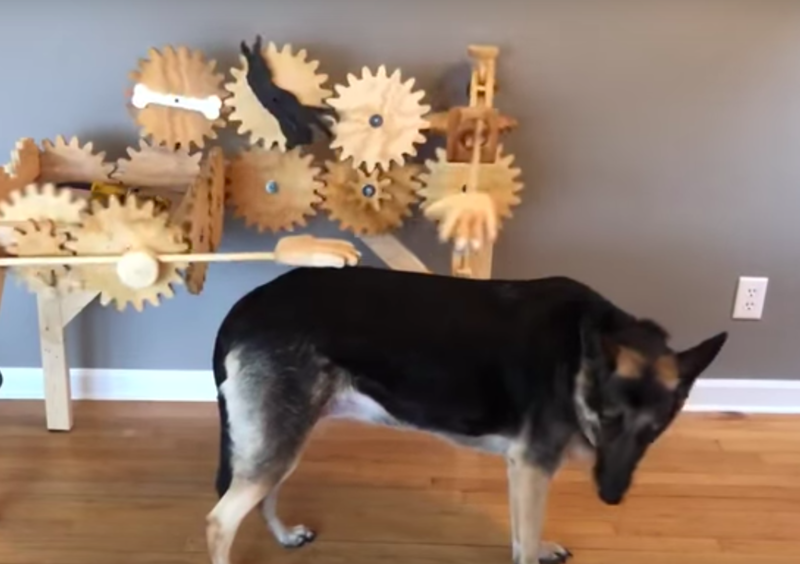 Granted, the video shows off some of the machine’s flaws — such as the very tiny dog whose little back just can’t reach the wooden carving of a hand above — but look, can all incredible petting machine be perfect? No! Then we’d live in a ridiculous world where we don’t eat, don’t go to work, just get our backs pet by the incredible petting machine every day. And such a world would quickly go to ruin. Such a world would result in a hurricane of infinite jest, engulfing us, murdering us, drowning us in its cruel sense of obligation and mecha-cuddles. Anyway, check out the video above! I think the biggest thing about this is– well, it’s very big. Could a human fit into that? Everyone pets dogs anyway, but who would pet a human. That’s right buddy, just climb in there! No one will ever know! Wrong. The dogs will know. And they want their pets now! Leave the dogs to the mechanized wooden cuddles! So decree, I! Now allow the dogs their cuddles. This what they, the very good dogs, deserve. 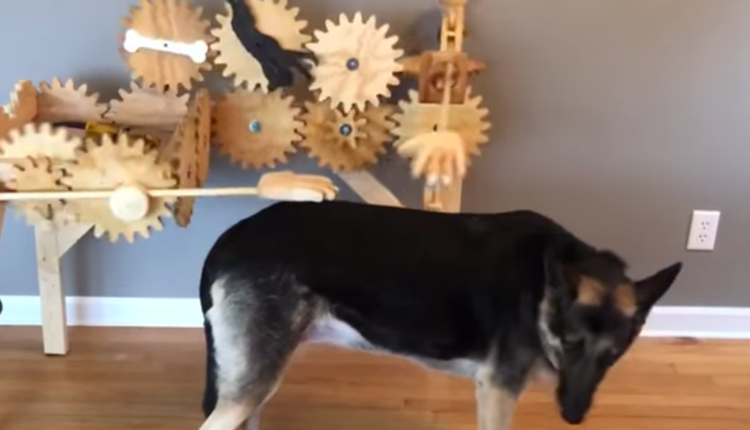 What do you think of this incredible dog petting machine? What other kinds of machines would you want for dogs to partake in? Maybe one that just scratches behind the ear? Maybe one that plays fetch with them? I mean, I wouldn’t want the machine to take away our human job of loving our pets! But yes, what do you think? Let us know in the comments or on Twitter at @WhatsTrending.